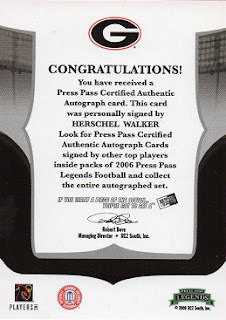 Here is the 700th different Herschel Walker card that I have obtained for the Herschel Hoard. It took just over a year since I got #600. That came on August 8th, 2017. 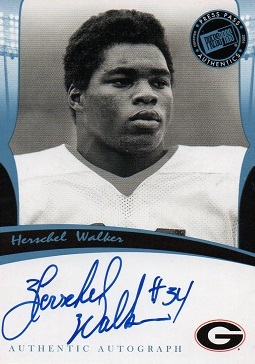 I'm very glad to add this sharp looking signed card of Herschel to my collection. It makes a nice milestone, don't you think?